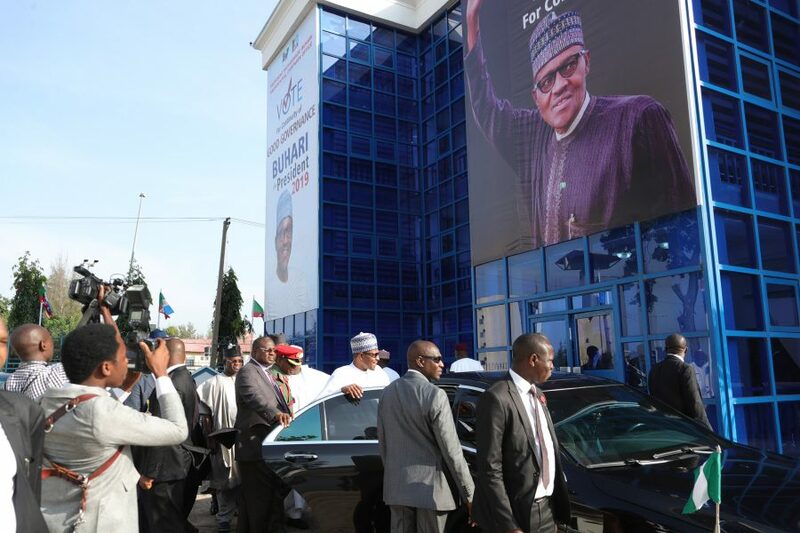 President Muhammadu Buhari on Tuesday called politicians who exited the ruling All Progressives Congress (APC) as weak and selfish, who could not align with the vision of his administration. “We now have a party of strong and patriotic people who are ready to work for a strong Nigeria, the president said after he was handed the Expression of Interest and Nomination Form for his re-election bid in 2019 by a political group known as Nigerian Consolidation Ambassadors Network (NCAN), at the Presidential Villa Abuja. President Buhari who expressed his delight for being honoured by the group made up of youths from different parts of the country, explained why he had to come out of retirement to push to realize his vision to rescue the country in 2002. President Buhari said the country reached a hopeless state in 2006, hence he decided to contest for the Presidential position in 2007. The President said his administration has so far completed rail project and new ones under construction, provided support for farmers, including the rehabilitation of fertilizer plants, introduction of the Treasury Single Account, TSA, which he said has reduce stealing in public service as well as provision of jobs and cash for the most vulnerable Nigerians. The Campaign DG of Buhari’s Organisation, Rotimi Amaechi, said that the candidate (Buhari) is as fit as a fiddle and they were ready for the campaigns. Others present at the short ceremony were, Attorney General and Minister of Justice, Abubakar Malami, Secretary to the Government of the Federation, Boss Mustapha, Chief of Staff, Abba Kyari, and other presidential aides. Ameachi said he was moved by the state of hopeless in the country where selfish interest of elected leaders superceded national interest, stressing that the 2007 election in the country was a disgrace. 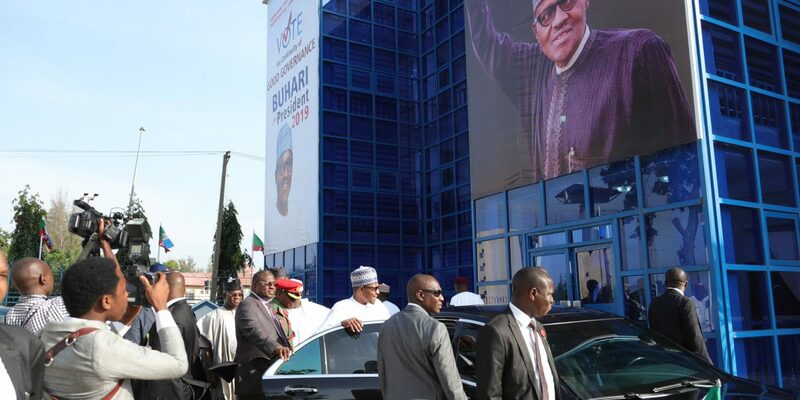 Deputy Chairman of NCAN, Chuckwuemeka Nwajiuba, earlier in his remarks, said the three million members of the group contributed as little as N68 to purchase the form after a triple A assessment of the performance of President Buhari. According to him, Buhari’s commitments to the fight against corruption, the fight against terrorism and the rejuvenation of the economy were some of the reasons that spur the group to pay for the expression of interest and the nomination form for him. Nwajiuba said, “Nigerians for the first time in many years could see a leader who painstakingly took decisions solely on the bases of national interest, above his or anyone else’s. A leader who belongs to all and behooving to our country and to God only, who in His infinite mercy brought our president back from the brink of death and restored him to strength and vigor.